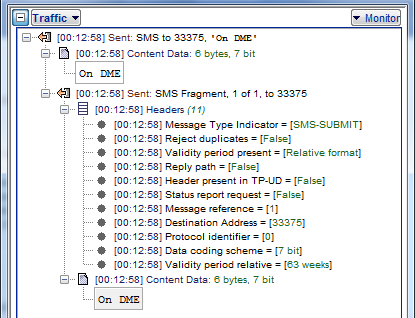 Data0.Net Security Blog: Investigation behind Malaysian SMS spam with .jar attachment (0195451395). 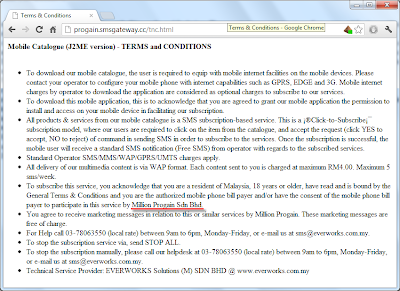 Investigation behind Malaysian SMS spam with .jar attachment (0195451395). I constantly received SMS spam message with .jar as an attachment. This is happened several times within 3 months. So, I decided to make some digging on who is the person behind this activity. The .jar file look suspicious and inappropriate way to promote sometime with such attachment. Lets try to access on IP 203.223.148.215 with browser. 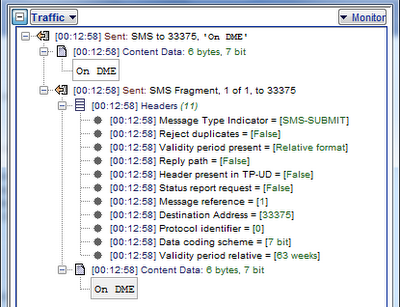 The IP 203.223.148.215 is resolved to domain name www.smsgateway.cc . 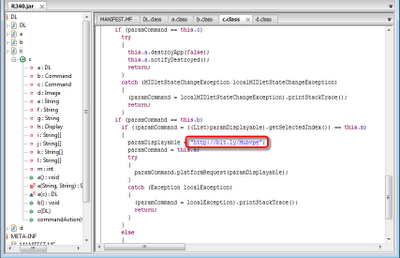 Seem like it's running with IIS on Windows machine. Now lets NMAP it. 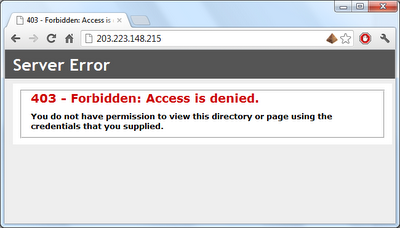 |_http-title: 403 - Forbidden: Access is denied. Now we need to take a look on the .jar file. First of all let see how it's look like when running on the phone. 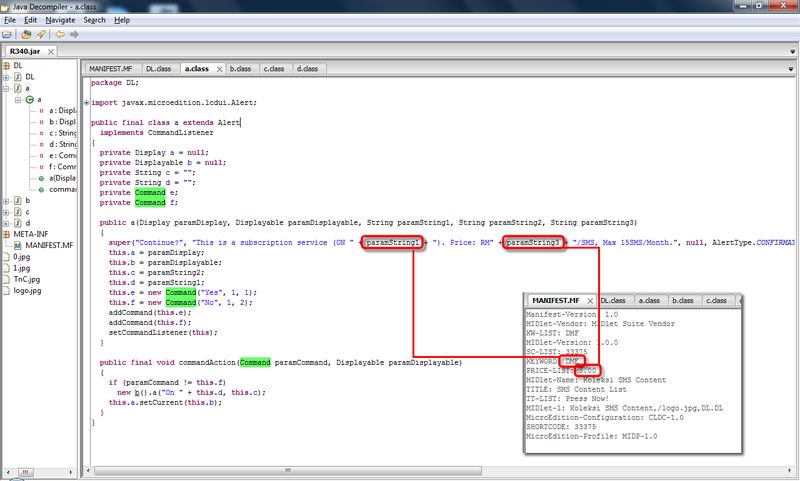 In this case I use Nokia Emulator. 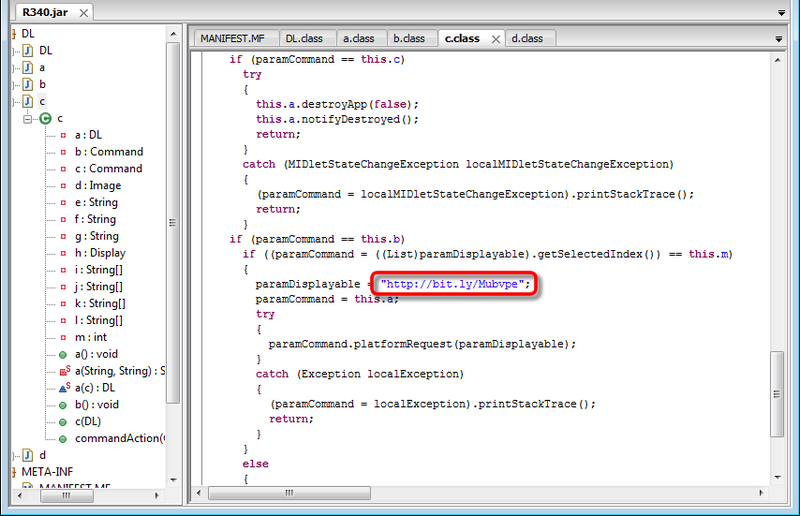 Once victim user run the spam app it will instantly popup a message to send a message to the 33375 number. 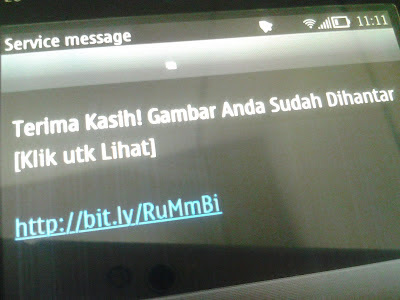 If user click/tap on Yes button it will automatically subscribe RM3.00 for another spam data. Your credit will be 'stolen' for RM3.00 monthly. 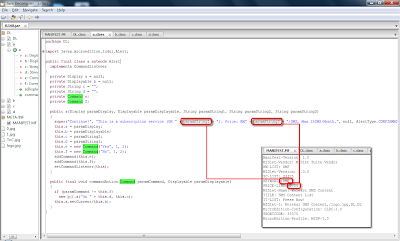 The variables paramString1 and paramString3 will corresponds to the manisfest file. If we take a look on 'c' class on the source code there is another shorten link which is will redirect to their Terms and Conditions web page. 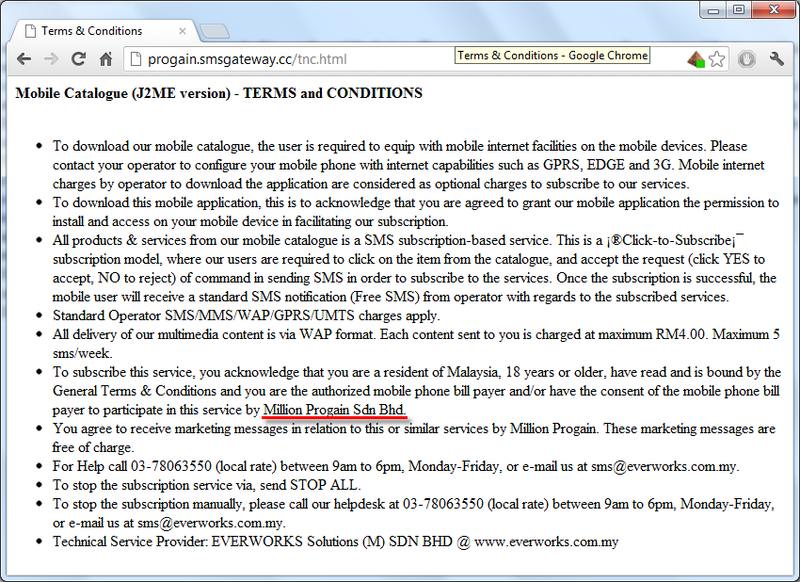 Based on their TnC, it seem that Million Progain Sdn Bhd (916763-X) is responsible for receiving payment from the user. Several TnC also has been violated by this company. I'll keep the details about this company because it seem lead to more abusive services.